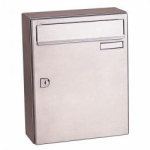 Not only post offices and commercial buildings have post boxes, it is a great addition to your home too! 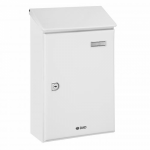 You don't have to worry about waiting at home all day because your post man can just simply post your deliveries in the post box giving you a peace of mind. 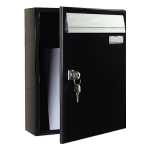 It's also great for your postman who doesn't have to hassle about walking straight up to your house and delivering your letters through the door. 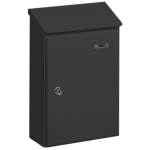 With a variety of sizes and styles for you to choose from, it's easy for you to find the right one for you and these items can lighten up your garden. 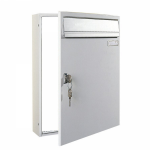 The majority of our post boxes feature keys to secure your deliveries inside avoiding intruders from taking anything that may be valuable to you. 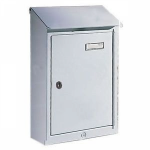 From well-known manufacturers such as DAD and Safewell, we have ensured that the post boxes are in a strong quality condition and are affordable for everyone to purchase. 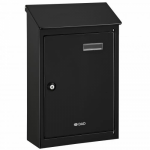 You can also check out our fantastic range of anti-arson post boxes, designed for fire emergencies!